Start of the IC Dinghy Fleet. Finally the long winter is over and boats are appearing on Manhasset Bay. What a beautiful sight! All can appreciate the view, even if you are not a boater. The walk along the bay gives all in our community a chance to check out the vistas from land. Try it—fresh air, good exercise and the bay in all her glory—what’s not to like? 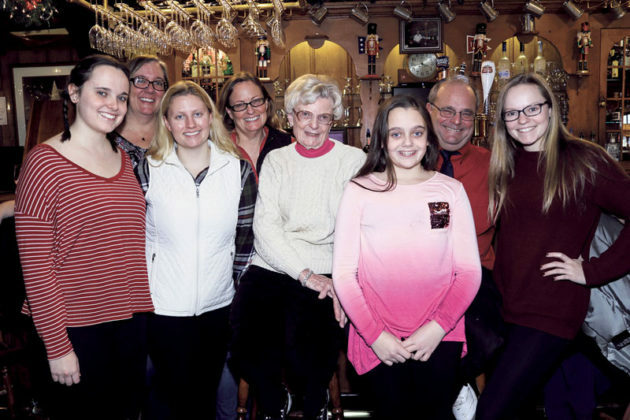 But before we can start chatting about weekend racing, Thirsty Thursday and Long Island Sound regattas, there are a few items needing attention. 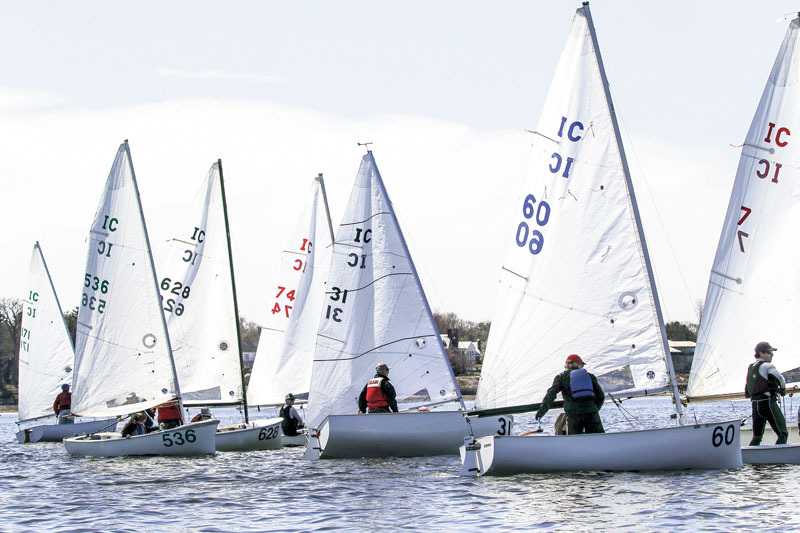 For starters, our friends at the Frostbite Yacht Club were frozen out of their New Year’s Regatta because of ice. 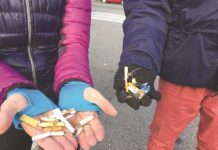 It wasn’t the extreme cold that deterred the teams—as they would be out on Manhasset Bay in a heartbeat—they are frostbiters after all. But ice in the bay is just too dangerous for these small dinghies. So the teams were forced to spend the afternoon in the warmth of the fire and near the bar at Manhasset Bay Yacht Club and talk sailing. 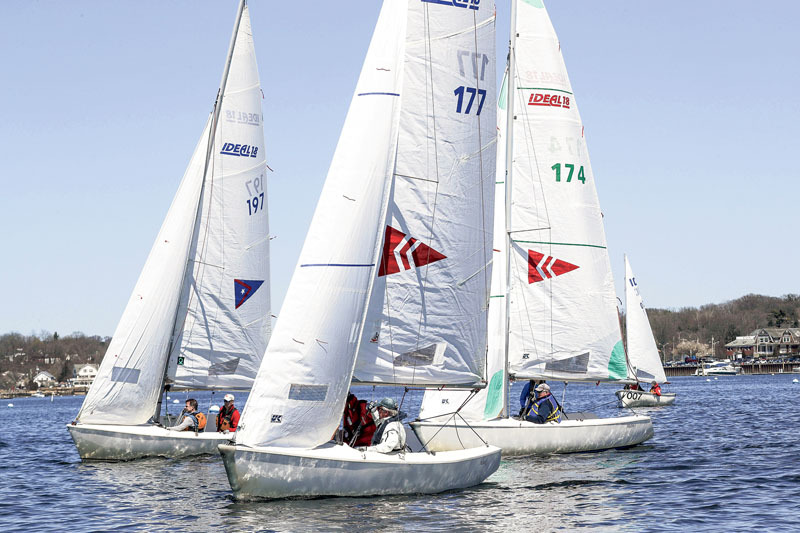 So the Frostbite Yacht Club Annual New Year’s regatta was held on April 21-22. The conditions on Saturday were a bit like winter sailing, with good wind. The Race Committee got in 8 races. The next day was beautiful weather, almost warm, but the trade-off was little wind. Two more races were completed before the Race Committee called it a day. Top boats in the InterClub (IC) dinghy class: 1. Steve Benjamin/Trevor Davis, Seawanhaka Corinthian Yacht Club, 2. 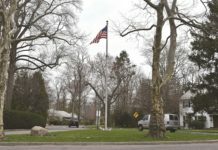 Ted Farrarone/Meredith Killion, Larchmont Yacht Club, and 3. Paul-Jon Patin/Felicity Ryan, Larchmont Yacht Club and Sayville Yacht Club. Top boats in the Ideal 18 fleet: 1. 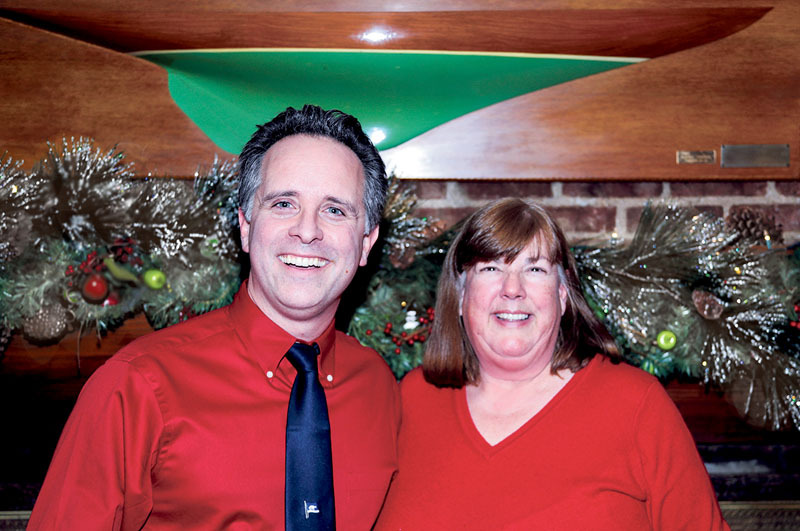 John Browning/Louise Browning, Manhasset Bay Yacht Club, 2. Stephanie Baas/George Huntington, Manhasset Bay Yacht Club, and 3. Bob Schwartz/Tom Powers, Manhasset Bay Yacht Club. The Past Commodores Race: 1. Steve Benjamin/Trevor Davis, 2. Pedro Lorson/Lauren Krim, Manhasset Bay Yacht Club and Simon Strauss/Julie Lelek, Larchmont Yacht Club. Anchor Light Trophy (for special participation in the New Year’s Regatta finishing all races in the IC class): John Silbersack/Harry Thompson, Manhasset Bay Yacht Club. Commodore Robert W. Fraser (Past Commodore’s Race): Steve Benjamin/Trevor Davis, Seawanhaka Corinthian Yacht Club. The Sam Wetherill (outstanding Interclub skipper): Steve Benjamin/Trevor Davis, Seawanhaka Corinthian Yacht Club. 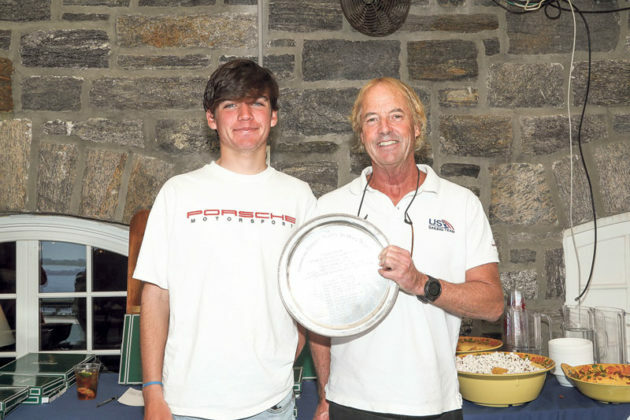 Henry A. Alker Trophy (Outstanding Manhasset Bay Yacht Club skipper): John Browning/Louise Browning, Manhasset Bay Yacht Club. John P. Barry (Outstanding Ideal 18 skipper): John Browning/Louise Browning, Manhasset Bay Yacht Club, Geoffrey Hazard (Outstanding Port Washington Yacht Club skipper): George Catallo/Dawn Serignese/Doug Bridges. Baker Taylor Founders Trophy (Highest percentage in the Annual New Year’s Regatta): Steve Benjamin/Trevor Davis, Seawanhaka Corinthian Yacht Club. The Lorson family has a long history at Manhasset Bay Yacht Club and with the Frostbite Yacht Club. 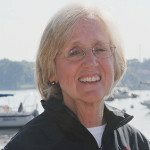 Sue Miller, Manhasset Bay YC Past Commodore was elected the new Commodore of the Frostbite YC. She is seen here with outgoing Commodore Saladino. The last event for the Frostbiters is always their Awards Dinner, which took place last Friday, May 11. This is always a fun evening as the winter season comes to a close and the teams are looking forward to warm weather sailing. Even though the severe winter weather caused many no-racing days, the group was upbeat. The following scores are for the entire season (not to be confused with the scores above which are just for the Annual New Year’s Regatta). Winter Series: 1. Bob Schwartz, 2. Chris Ficolora, and 3. John Krim. Spring Series: 1. Stephanie Baas, 2. John Browning, and 3. Bob Schwartz. Overall: 1. Bob Schwartz, 2. O’Sullivan (first name unavailable), 3. 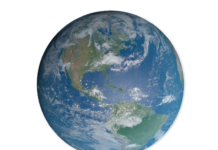 John Krim. Louise Browning won the Ideal Crew Award and Charles Comer wont he Howard G. Seymour (awarded by the Winter Sports Committee to a participant who best demonstrates dedication, desire, and enthusiasm for the sport of winter sailing). There were no races in the Fall Series. Annual scores for the IC Dinghy fleet were unavailable at press time.